Find best food supply company address in Los Angeles. Delivery types including – Restaurant delivery service, meal delivery service, organic food delivery service, diet food delivery service, dessert delivery service, soup delivery service, fried chicken delivery in Los Angeles, CA. Personalized fresh meals delivered to you daily, based in Los Angeles, California. Gourmet Healthy Meal including Paleo Diet, Diabetes Diet, Gluten-Free Diet, Weight Loss Friendly Foods, Healthy Lifestyle Diet. Healthy daily meals service, boutique catering service and Drop-Off catering services. Healthy Daily Meals delivered to your home, office or set ! Daily local Southern California restaurant food delivery by LAbite. Order online, LAbite’s dedicated team tracks and delivered on time to your home or office. Diet meal delivery service in Southern California, Los Angeles, Orange County, Ventura, San Diego and other areas. Zero Effort Nutrition Plans (Weight Loss, Paleo, Vegetarian, Zen Spa Experience, Family Dinner, Juice Cleanse). Personal chef services delivered to your door. Diet meals, vegetarian meals or family dinners delivery service in California. California Chef offers a truly custom meal delivery service. Delivery Area : Greater Los Angeles area (Pasadena to Santa Monica and Malibu, and from Thousand Oaks to the cities of the South Bay, Manhattan Beach, Hermosa Beach, Redondo Beach and Palos Verdes and more). 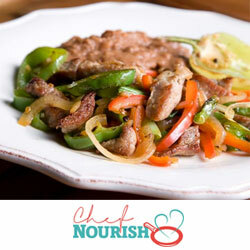 The Fresh Diet Los Angeles – Los Angeles diet delivery meal delivery service at your doorstep. The Fresh Diet covers – Chicago, Los Angeles, Dallas, Houston, New York, Miami and more cities in United States. Lorton, VA based company. Diet-to-Go meals are prepared fresh daily and are a great fit for anyone looking to lose weight or maintain a healthy lifestyle. Take advantage of Local Pickup services by Diet To Go – San Francisco Bay area (including East Bay) or the greater Los Angeles area. 3 menus (Balance, Vegetarian and Carb30) can be customized. Diet-to-Go delivery service Locations : Anaheim, Brea, Burbank, Chino, Culver City, Glendale, Hermosa Beach, Hollywood, Huntington Beach, Long Beach, Los Angeles, Marina Del Ray, Ontario, Santa Ana, Signal Hill, Sherman Oaks, Tarzana, Tustin, Upland, Woodland Hills. Pickup locations in the greater San Francisco Bay California Area : San Francisco, San Jose, Petaluma, Scotts Valley, Santa Clara, Coret Madera, Napa, Foster City, Concord, Pinole, Suisan City, Vallejo, Hayward, Rohnert, Santa Rosa, Campbell, San Bruno, Alameda, Walnut Creek. Based in Torrance, CA. A gourmet fresh meal delivery service tailored to seniors and their dietary requirements. Variety of meal plans can accommodate a diabetic diet, renal diet and low potassium diet, low sodium diet and other special diets. Daily food delivery throughout Northern California : The greater San Francisco Bay area, San Jose area, and East Bay area; Southern California : Los Angeles County, Orange County, Riverside County, San Bernardino County, San Diego County and southern parts of Ventura County; and in the greater Dallas Fort Worth area. Gourmet Organic, 100% vegan and gluten-free menus, Alkaline Meal Delivery handcrafted by Chef Flo. Covers CA, AZ & NV. Delivery Zones : Local delivery within South LA County and Orange County, Los Angeles County and Overnight shipping to anywhere in California, Arizona or Nevada. Covers LA and Phoenix. Six unique meal programs (Signature Diet, Paleo Diet, Natural Gourmet, Vegetarian Diet, Optimal Cleanse, Family Dinners) delivered daily to your front door, ready-to-eat. Since 1987, NutriFit® has delivered fully customized, deliciously healthy, freshly prepared meals to clients in Southern California, Los Angeles & Nationwide. Plans : Weight Management Plans (Zone diet, Paleo diet, Mediterranean diet, Volumetrics diet or South Beach diet etc.) are daily / 14 day package / 28 day package, Family Meals, Health Management Plan, Body After Baby meal program, Sports Nutrition Plan etc. Fresh food delivery service based in Burbank, CA. Programs designed for accelerated weight loss & healthy living. Nationwide Delivery. Weight Loss & Fitness (Accelerated Weight Loss, Standard Weight Loss and Fitness & Performance), Healthy Lifestyle (Healthy Gourmet), Specialty Menus (Gluten-Free, New Mom, Vegetarian and Low Cholesterol). Farm to Table meal delivery service to LA & OC. Nationwide shipping of Pressed Juices & Cocktail Potions, Cleanses, Power Up Snacks, Gift + Packages. Meal programs are Market menu, customized Perfect plate, Vegetarian and vegan plans, PALETA pregnancy meal program etc. View pricing. Meal Delivery – Serving California, Phoenix/Scottsdale, Las Vegas. The Los Angeles area’s premiere fine dining restaurant delivery service since 1992. Vegin’ Out is a premier online vegan food, vegan meals and vegetarian meal delivery service for Los Angeles, Southern California and nationwide. Easy and quick online ordering for delivery and take out from your local favorite LA restaurants.